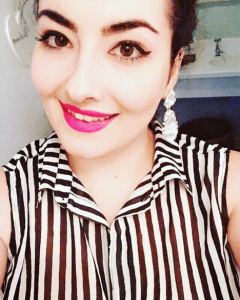 Tina Culora in Fashion & Beauty on 8 February, 2017. 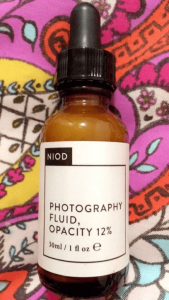 Be picture ready with NIOD’s serum textured Photography Fluid, Opacity 12%- a revolution in make-up technologies. 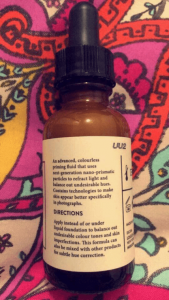 The ultimate when make-up meets science, this fluid is an advanced, colourless, priming fluid which makes your skin appear explicitly better in photographs. It uses nano-prismatic particles to balance out undesirable hues and to refract light, so you can look selfie-ready! Multiple grades of next-generation ultra-fine particulates refract light in thousands of directions to create an immediately-noticed even tone to the skin. Ultra-fine super-blurring suspension uses fine prisms to create a systematic confusion of a perfect-looking skin surface and to reduce the look of pores immediately.